According to experts, the front of your home should allow onlookers to appreciate and admire the architectural elements of the house. If a homeowner fails to inspire passers-by from the outside, he is also lowering the expectations for the inside. 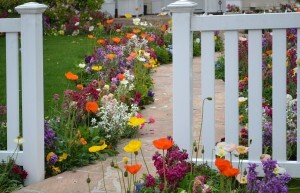 Below are some of the tips on how you can add interest and dimension to your curb appeal. Check your lawn and make sure you still have those lush green grasses and tall shrubs that will accentuate your yard. Painting smaller areas outside your house can make a dramatic difference. If you got wooden shutters that were chipped, you can consider painting them. Check the house’s siding and make sure dirt or stain are cleaned. You can hose down the walls in order to remove all the dirt. Click here to get more tips on how to improve your home’s curb appeal.